This is awesome! Instagram video of Jai Courtney playing guitar, taken be fellow cast member Ansel Elgort. Veronica Roth was on the Divergent set again recently, here she is pictured with one of the clapper-boards, a classic pose. Filming on the Abnegation set at Wells street, which has seen a lot of action recently, looks to have come to a finish as the concrete houses are now being taken down. We have to admit it makes us little sad after months of keeping watch over this site. It's been great fun. On the plus side, we're one step closer to the finished movie. Pictures from the set this week and of the demolition after the cut.There is also a photo of film crews set up at navy pier. Possibly they were there to get some shots they missed first time round. 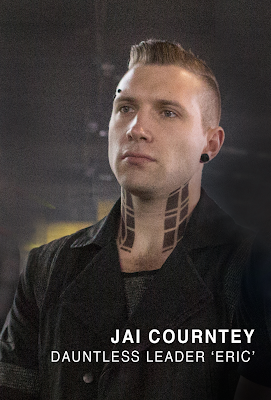 From Herald sun: AUSSIE Die Hard star Jai Courtney is almost unrecognisable in the first images to emerge from his next movie, Divergent - a franchise everyone's calling the next Hunger Games. It was announced that Courtney had landed the coveted part while he was home in Australia in March promoting A Good Day to Die Hard, in which he played the son of Bruce Willis's famed character, John McClane. At that stage Courtney told News Limited that Divergent may give him "some opportunity for different stuff with make-up and hair ... I'll embrace it". He has certainly done just that - he can be seen sporting neck tattoos, a pierced eyebrow, mohawk and black punk earrings in a photo that shows him on the Divergent set. 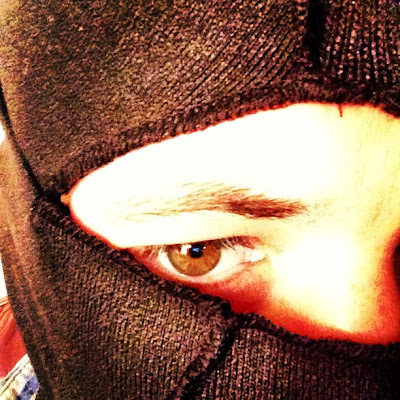 Courtney plays Eric, one of the film's big baddies - a merciless senior member of one of the five factions to which humans must belong in the future. "I'll be walking back down the more antagonistic path with the role I'm playing, which is always fun," said Courtney, who also played a bad guy in the Tom Cruise-led action flick Jack Reacher. 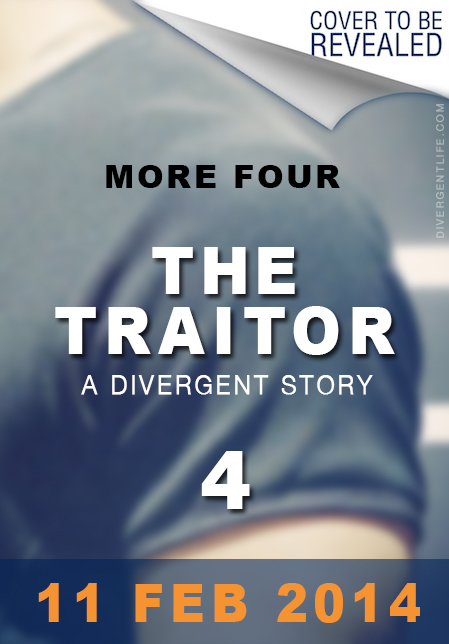 It is Eric's faction Dauntless that the movie's heroine, Tris (Shailene Woodley of The Descendants) chooses to join - angering Eric but leading to romance between Tris and Eric's hated rival, Four (played by James). 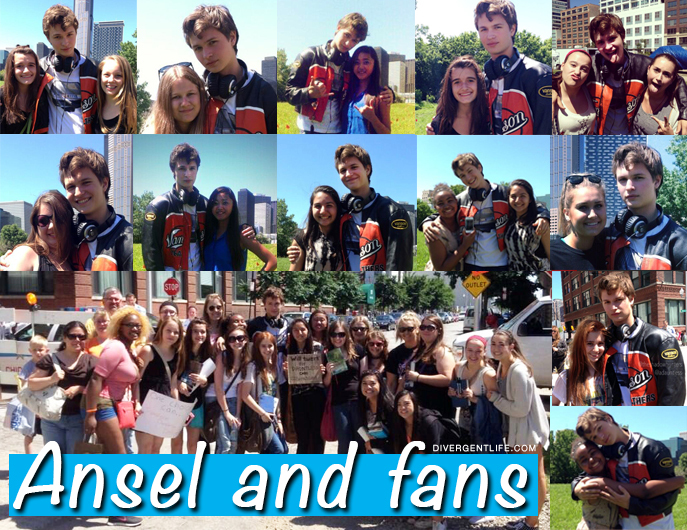 Ansel Elgort attended the premiere for movie 'Stuck in Love' yesterday evening in New York, before flying back to the 'Divergent' set in Chicago today. 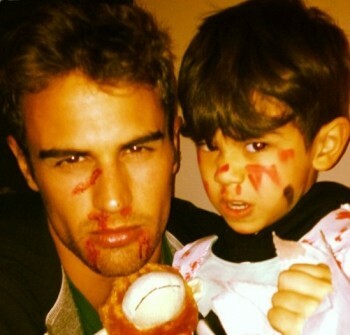 Here are a couple of videos from the past of Theo James. A short movie and a couple of comedy sketches. Be warned, there are some epic dance moves. 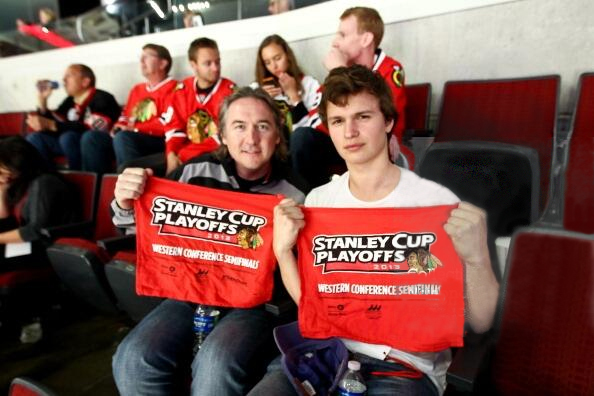 The Fault in our Stars which will star members of the Divergent cast was also high up the list at number 4. 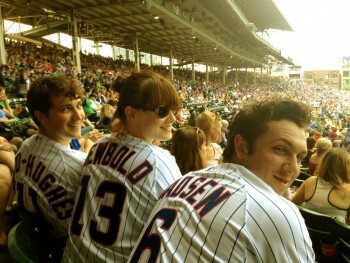 Divergent cast members Ben Lloyd Hughes, Amy Newbold, Christian Madsen (Will, Molly, Al) attended a Chicago Cubs game today. 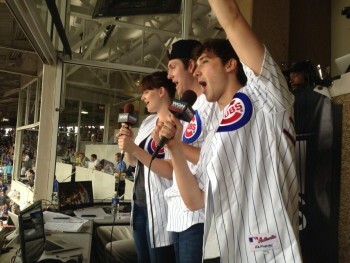 Check out the pictures below, along with the video below of them singing the 7th inning stretch! They've got some lungs on them. You can also see Christian Madsen throw first pitch. 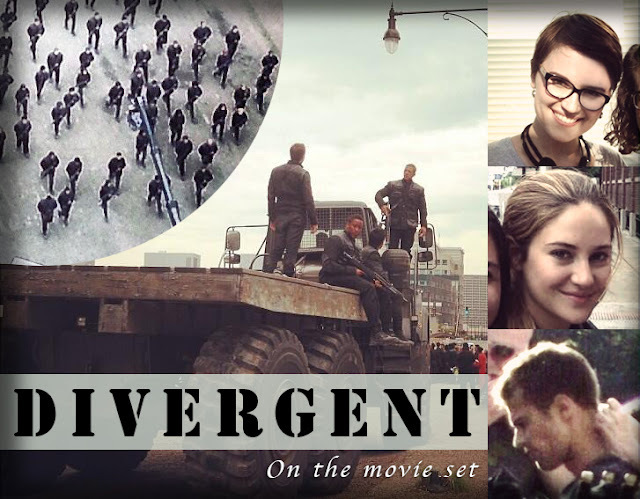 Earlier today we found two amazing new videos of filming on the Divergent movie set which feature some of the most epic scenes from the book. 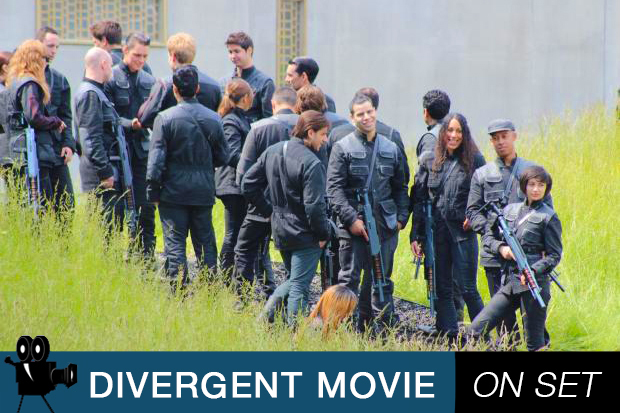 Watch Shailene Woodley, Theo James, Mekhi Phifer and Jai Courtney in action below. Warning: Contains spoilers, so if you haven't read the book, or don't want to be spoiled before the movie, don't watch! 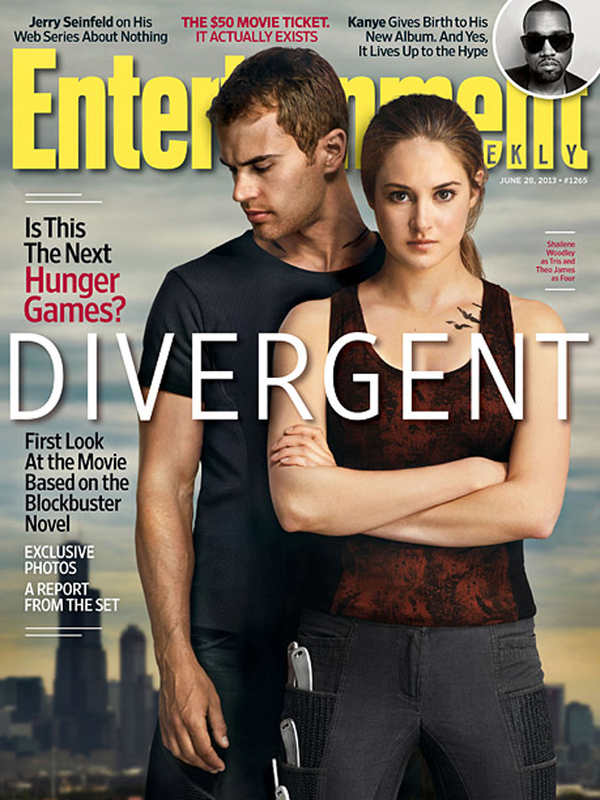 Here are 11 new Divergent stills courtesy of EW, untagged & in ultra large High-Quality. Most of them can be found in the latest issue of the magazine (details here). This is our first look at many of the characters: Christina, Will, Tori, Eric, and Andrew Prior. 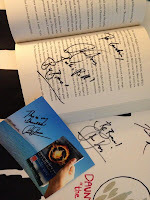 As well as a glimpse at some the most iconic scenes from the book, such as Dauntless training, the Aptitude test, the Ferris wheel (!!! ), and the dreaded 'Chasm' scene. There is also a behind-the-scenes still of Director Neil Burger talking to Theo James and Jai Courtney. Photo of Divergent's 'Caleb' Ansel Elgort & Movie Producer John_J_Kelly posing for a photgraph at a Blackhawks game in Chicago back in May. 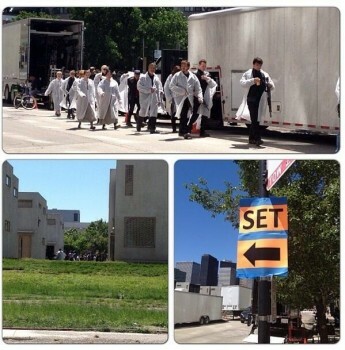 Filming for Divergent is currently taking place in the city, with the cast and crew hard at work. Glad to see them getting to enjoy a bit of down time. 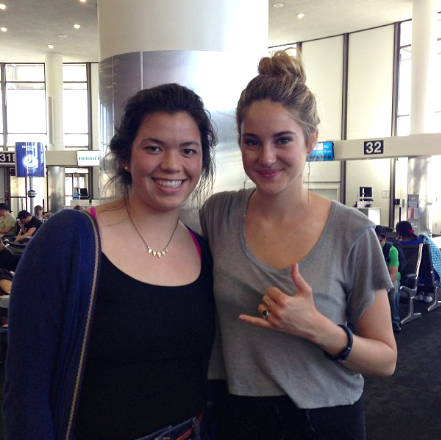 Lucky fan Sadie met Shailene Woodley at LA airport today, and shared these pictures she took with the actress. 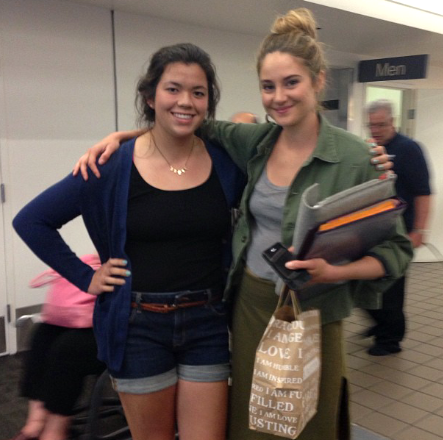 Shailene was in town for the screening of her movie The Spectacular Now with Miles Teller. New poster and (finally) a trailer for The Spectacular Now movie starring Shailene & Miles (Our Tris & Peter)! This looks awesome. We'll totally be seeking it out. From MTV: Before they hop aboard the "Divergent" train as Dauntless nemeses, actors Shailene Woodley and Miles Teller will find love in "The Spectacular Now." 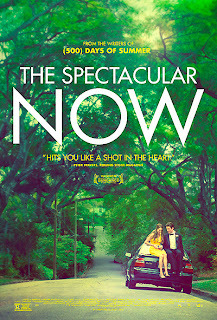 Based on the novel by Tim Tharp and written for the screen by Scott Neustadter and Michael H. Weber — whom you may know as the men behind the Joseph Gordon-Levitt charmer "(500) Days of Summer" — "The Spectacular Now" follows hard-partying high-school senior Sutter (Miles Teller), who's just living in the moment ... whiskey tumbler and all. But as this MTV News exclusive trailer shows, things change for Sutter when he's dumped by his popular girlfriend (Brie Larson) and discovered by Aimee (Woodley) passed out on a stranger's lawn. The two begin a tentative friendship (they do come from different social strata, after all), but as relationships of this sort are wont to do, it quickly evolves into so much more. 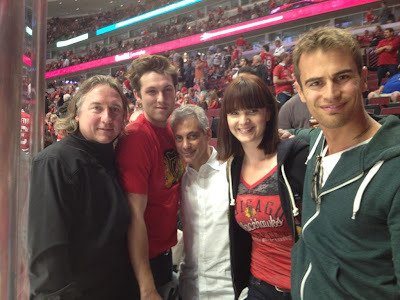 Thanks to TheoJames.Org, we found a bunch of candids of Theo James with his Golden Boy cast members and their families/friends. These were too cute not to post. Shailene Woodley & Miles Teller were at the LA Film Fest last night for the screening of The Spectacular Now movie they both star in. They also took part in a Q&A session with various other cast/crew members including director James Ponsoldt; screenwriters Michael H. Weber & Scott Neustadter. More pictures + videos after the jump. Divergent filming equipment was spotted at the University of Chicago today, along with actors/extras in the white coats they use to cover the costumes. 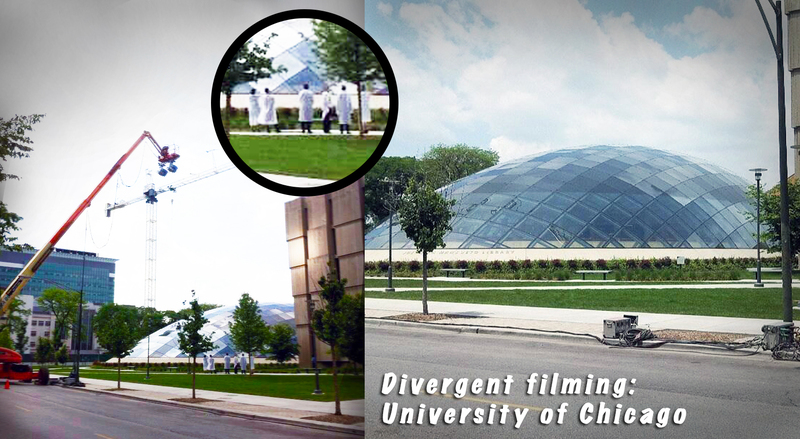 We're not sure what scenes are being filmed here, but fans were guessing either shots for the school, or something Erudite/Erudite HQ related. Plenty of action on the set of the Divergent movie today. 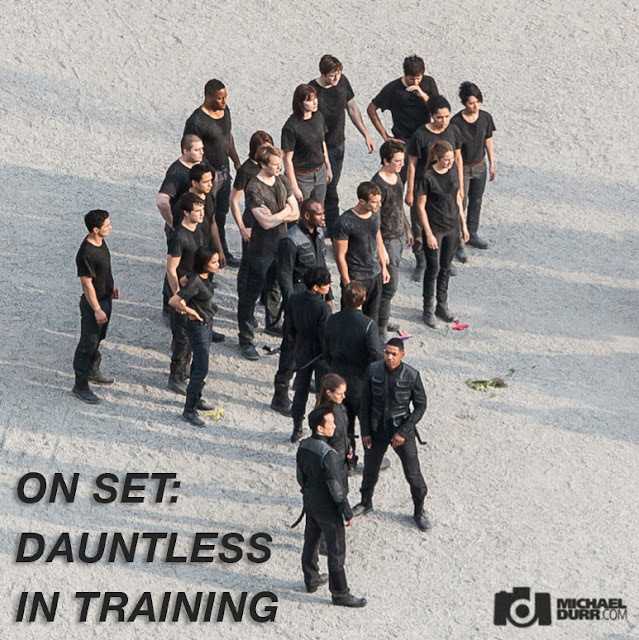 The Dauntless took to the streets, looking armed and badass. Author Veronica Roth was visiting the set and signed books for some lucky fans. Shailene Woodley appeared and posed for pictures, and the elusive Theo James was spotted in the make-up chair. Check out the pictures below. 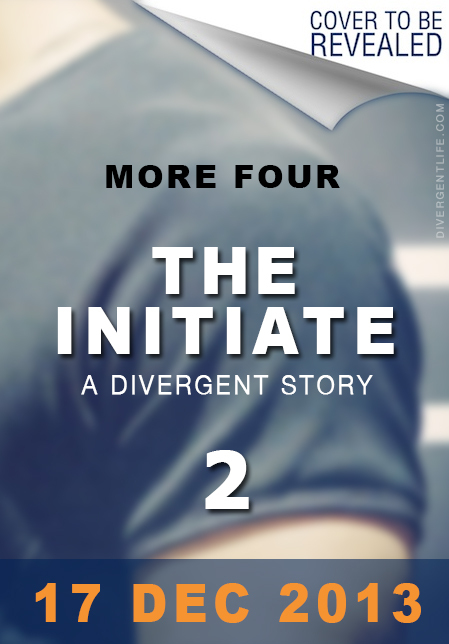 Watch out Abnegation village.. the Dauntless are coming. 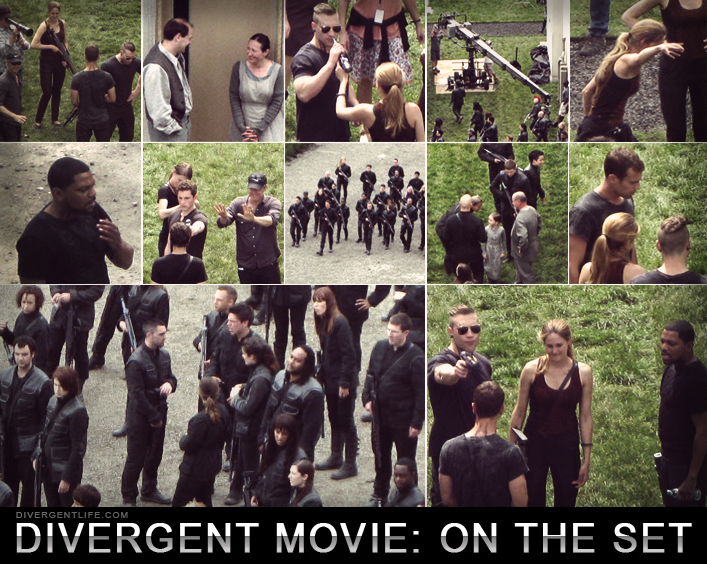 Check out these new awesome pictures captured on the set of Divergent. Below you can see scenes being filmed around the set houses, with a huge group of extras and cast members. Thanks to all those who tweeted us pictures. New 'Divergent' Movie Title Treatment? 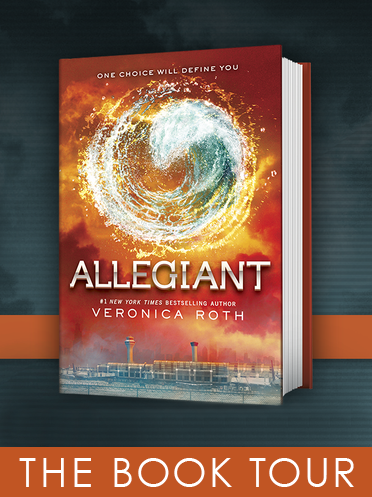 We noticed this new style of title treatment being used by HarperCollins, and it also featured on posters at a recent Veronica Roth signing. 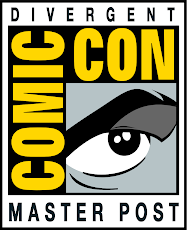 Could this be the official new logo? A round up of all the set pictures & videos from filming today. Big thanks to the fans who shared them with us. 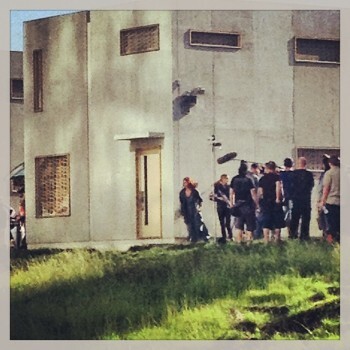 We have some pretty cool shots from what we've come to call 'Abnegation Village', we wont go into what scene we think they're filming to avoid spoilers, but if you've read the book, you'll have a pretty good idea. 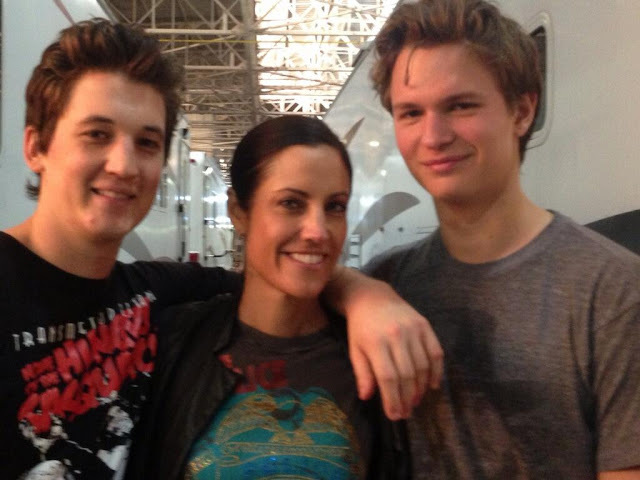 We have a few glimpses of Shailene/Tris, and even one with Ashley Judd/Natalie! The videos of filming are amazing, make sure you check them out. 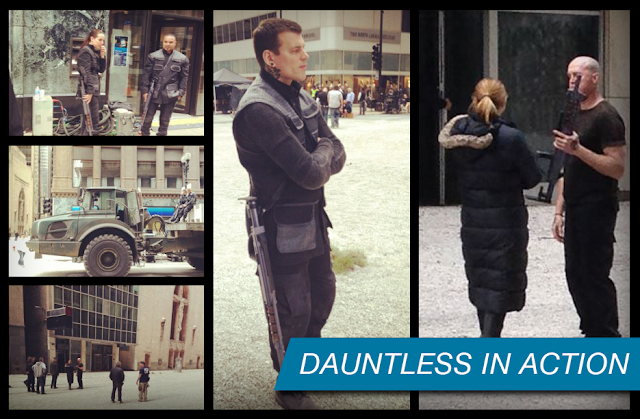 Check out these pictures we discovered early this morning: You can see Dauntless scenes being filmed for the Divergent movie. And that's not all... WE SEE FOUR! Yes! We finally found the first pictures of Four being filmed! 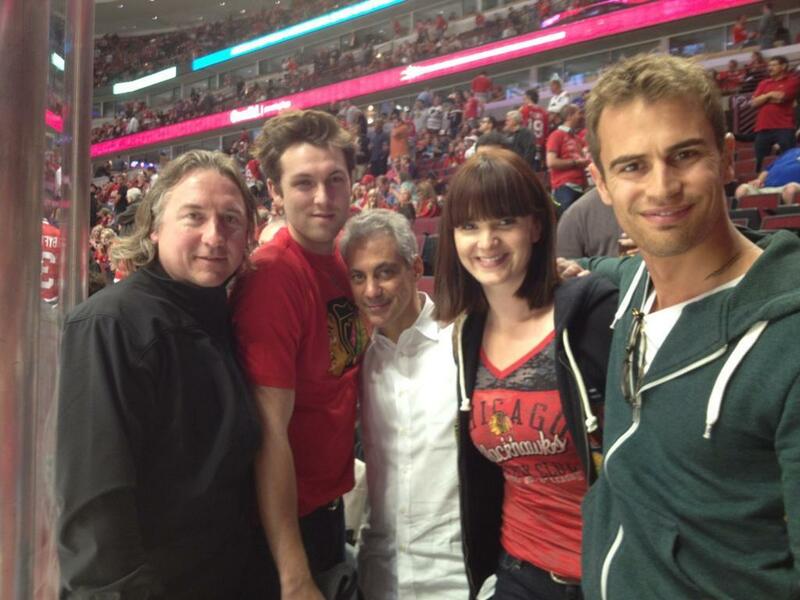 Cast members from the "Divergent" took a break from filming in Chicago on Saturday to watch the Blackhawks beat Los Angeles--with Mayor Emanuel, no less. 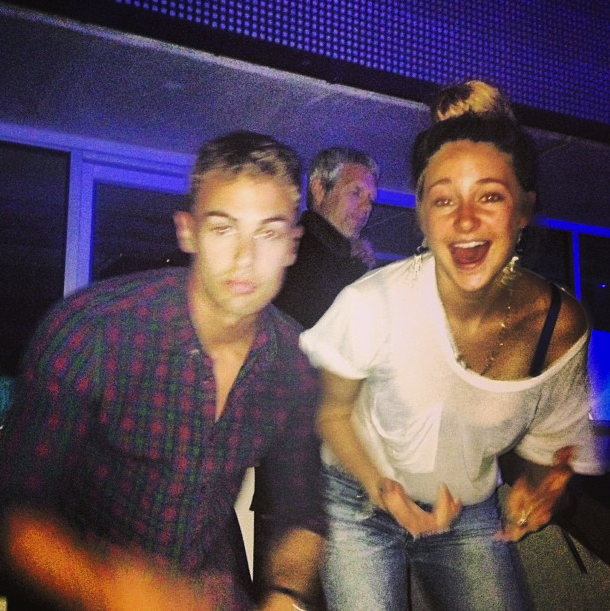 Also, we can't not mention Theo's derp face on the right there. Classic. 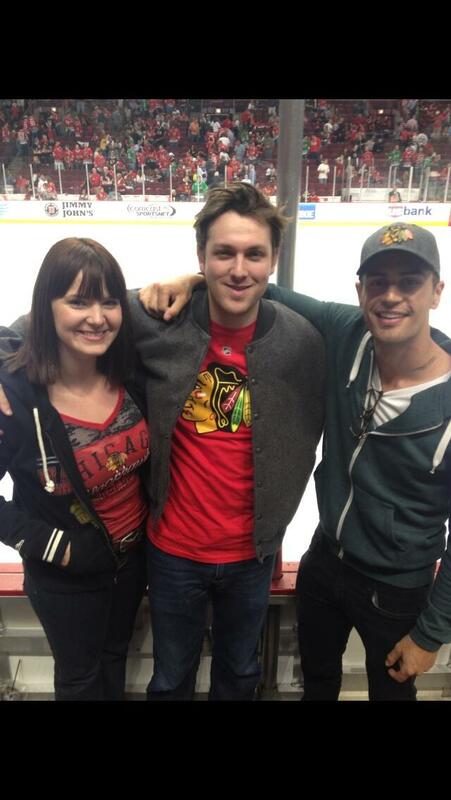 Cast/crew pictured: Theo James, Christian Madsen, Amy Newbold, Producer John Kelly. 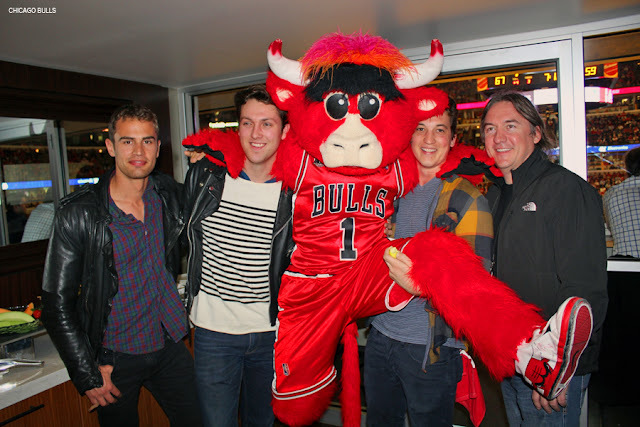 The Divergent cast spotted in Chicago! 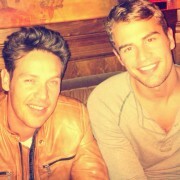 And oh look, Theo James! Finally! This lucky fan (who also happens to look amazingly like lily collins, no?) bumped into some of the cast members who were out for lunch. There's also some pictures of Theo walking down the street. Thanks so much to @adauntless on Instagram, Mary on Twitter, and thegirlthatonlydreamed on tumblr for sharing their experiences. See more after the jump. 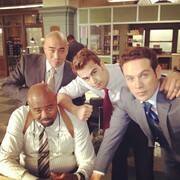 Looks like the cast are having a great time in between filming. Miles Teller's girlfriend Keleigh took these pictures of a night out to see the Rolling Stones in concert., June 3rd. In attendance was Theo James, Shailene Woodley, Miles Teller, Jai Courtney, Christian Madsen, Director Neil Burger, and possibly more. See all the pics after the jump. 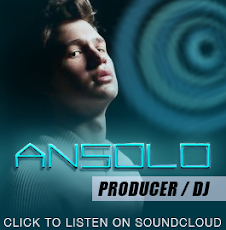 Update: Added High-Quality size still, without the tag. Because bigger is always better. Click for full size. 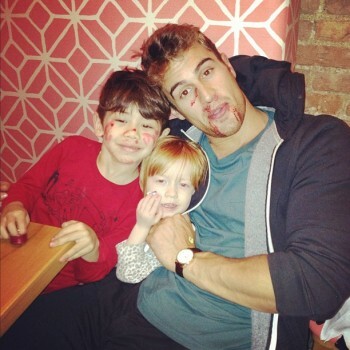 OH MY FOUR!!!!! 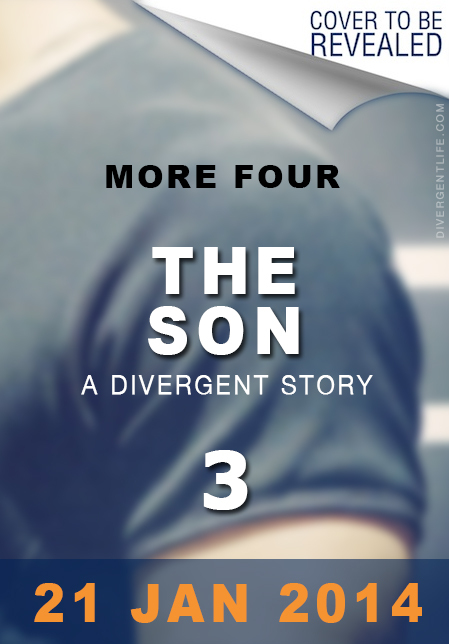 We have the first look at Theo James as Four/Tobias!! SWOON. Here are FOUR thing we love about the new FOUR still: 1. Hello biceps. 2. He looks badass! 3. The intense instructor face. 4. A peek at the tatts! Attention all you Four fans: here’s an exclusive reveal of Theo James as Tobias “Four” Eaton, the mysterious–and rather dreamy–Dauntless leader that takes a special interest in Beatrice Prior (Shailene Woodley). For those of you who haven’t read the Veronica Roth books, Divergent takes place in a dystopian future where all of society is divided into five factions: Amity (peaceful), Abnegation (selfless); Candor (honest, Erudite (intelligent); a nd Dauntless (brave). 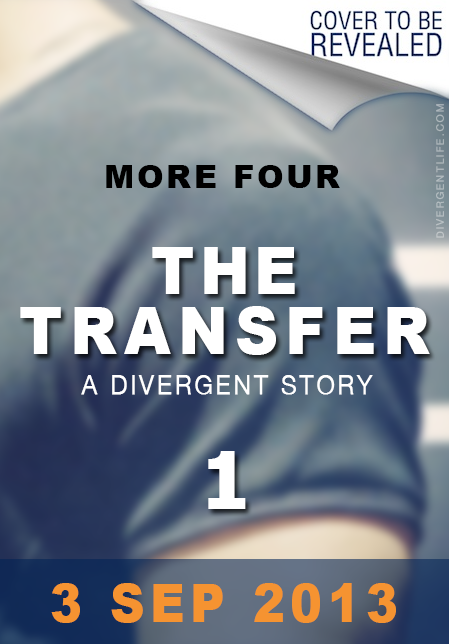 Our heroine, sixteen-year-old Tris, chooses the Dauntless faction. New picture of Zoe Kravitz posted by Dad Lenny Kravitz backstage at Jimmy Fallon, where she was making an appearance. 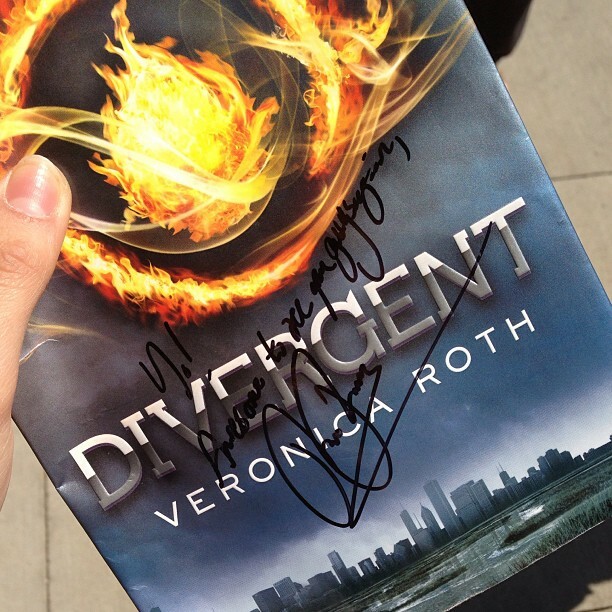 From twitter: "Jimmy asked her about #Divergent!!!! Oh WOW! It got a big cheer from the audience!" 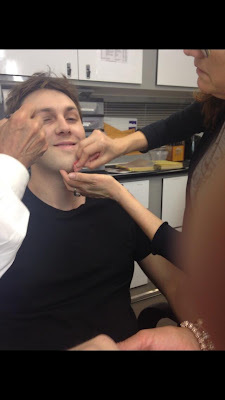 Pictures tweeted cast members by Christian Madsen and Miles Teller show Christian experiencing the joys of the make-up chair, and Miles wearing a mask.. possibly for a certain kidnap scene??? Also, below is a video from the set, found originally on a vine on twitter (from May 31). It shows stunt doubles performing what we're guessing is a train jump, with plenty of green screen around.